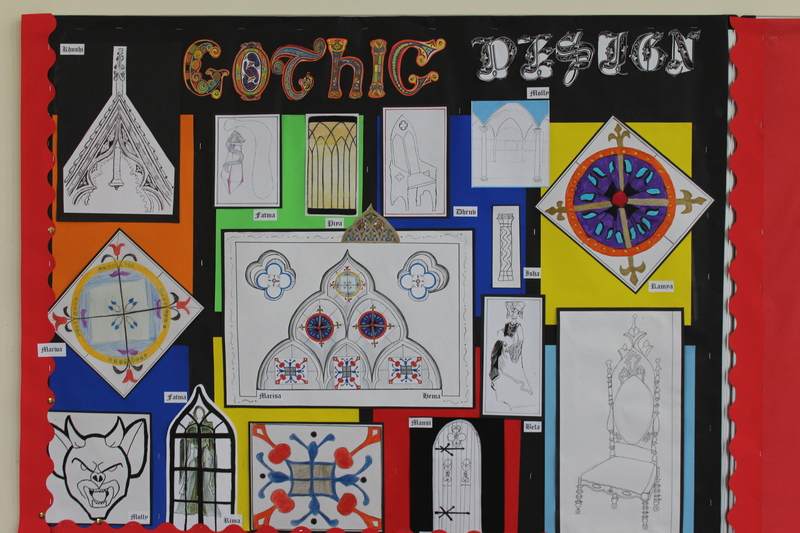 Last year I was contacted through this blog by someone organising an art and design project on Gothic in a school. She had read my post about what Gothic is and wanted to discuss it in more detail, and we have conversed by email and telephone. The project sounded fascinating: clearly a lot of research was going into it, and looking at ways in which Gothic might be interpreted and understood by children appealed to me, too. After all, children are always simultaneously fascinated and repelled by dark corners, scary monsters and gory tales (the popularity of Horrible Histories is just a modern continuation of this), and aspects of ‘grown-up’ Gothic are manifested in children’s literature from the eighteenth century onwards. 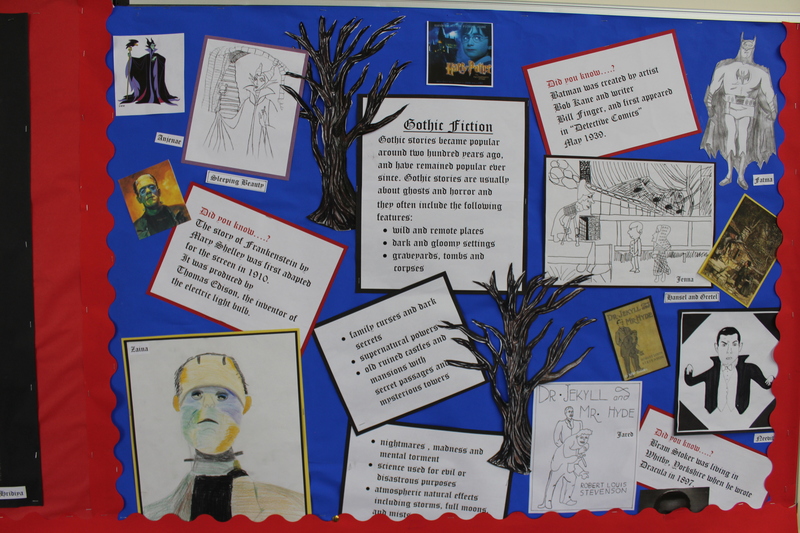 This project sought to help the young students explore what Gothic was, how it appears all around us and is important in history and in popular culture, and offered them a chance to express their interpretations of it. The project has now finished, and I can’t praise the results highly enough. 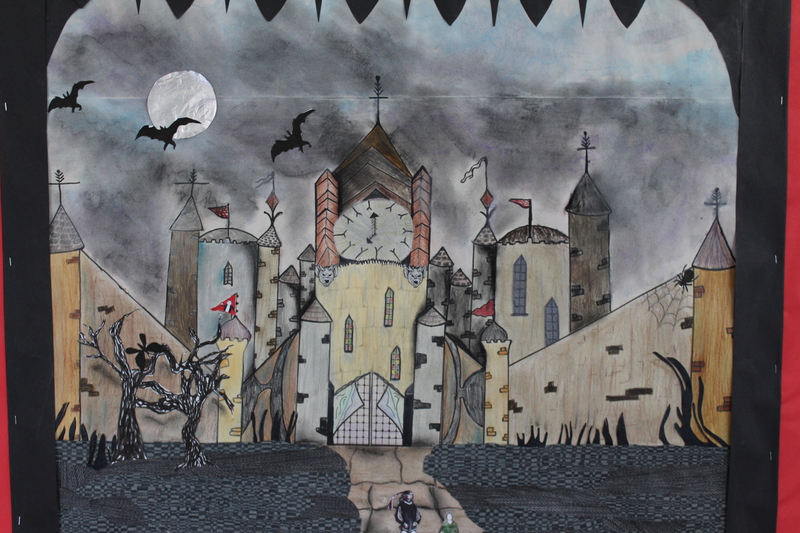 The children have interpreted what they saw, in books, on visits and in the world around them, and produced some wonderful images which express some of the crucial aspects of Gothic as well as demonstrating their own artistic skills. I include as many photos as I can here, and below is a description of the project from its organiser, whose dedication to the children’s work is exemplary and has certainly paid off. “My name is Joy Rickman and I have been running an Art and Design club for the last eight years. I work with children aged between 8 and 11 at Mount Stewart School in Kenton, Middlesex. I have always found that it pays to have a flexible approach to fit in with the children’s abilities. I started my research at my local library, but I was disappointed with the lack of information available there. Eventually I found a performing arts library which had superb books on Gothic architecture and film. I presented the children with various images of Gothic design and ornament as well as famous characters from the world of Gothic fiction. We looked at costume, jewellery and literature as well as easily identifiable architectural features and areas such as Camden market. A few weeks into the project some of the children started to notice Gothic features in local churches and a few brought in samples of jewellery and studded boots! As the project developed, I noticed that several children had a real flair for Gothic architecture. I named this group “The Architects” and gave them the challenge of designing a Gothic castle, working from just a couple of drawings. I have three display boards to use and as the design of the castle progressed it became clear that it would take centre stage. The other two boards were used for displays of Gothic fiction and elements of Gothic design. 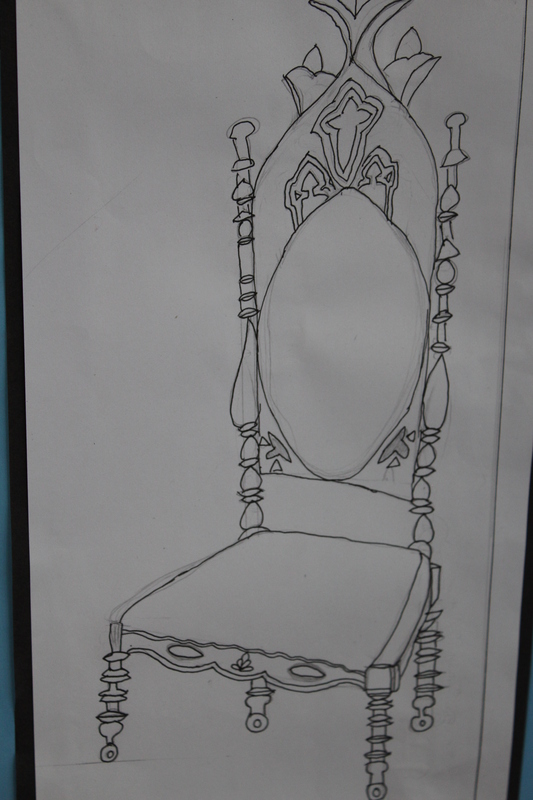 In April the Art Club visited Strawberry Hill House. I knew that seeing and feeling the Gothic atmosphere would make the project come alive, and sure enough the children thought the best part of the visit was choosing and putting on the costumes in the dressing–up room. 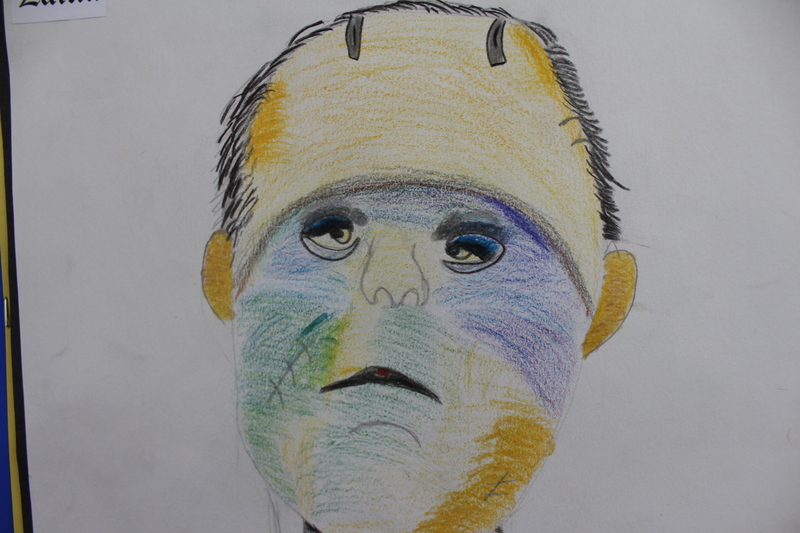 The children were given the task of making up their own Gothic horror story, using photographs to create a cartoon. They were given cameras and encouraged to make the best use of the interesting light effects for their photos. After lunch the children were taken into the classroom and given lap tops installed with a programme that would allow them to place their photographs into a comic format and the add appropriate speech bubbles. This proved to be quite a demanding activity requiring the children to focus as time was limited. However I knew the children would rise to the challenge and they produced some interesting stories with chilling effects. Congratulations to Joy and the children of Mount Stewart School’s Art and Design club! I’m looking forward to seeing what their next project is. Oh, that there were such teachers everywhere for every subject. Very inspiring article.